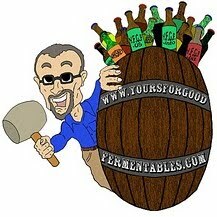 From Boak and Bailey comes an analysis of what a beer blog should be, and specifically what a brewery's blog should be (in the context of Becks). We’ve come to the conclusion that it’s being done because it’s the latest “cool” thing in marketing, even if there’s no evidence that it actually works. The marketing team / agency can explain to the board that their exciting campaign features Web 2.0 technology and get to look creative and cutting-edge. The other potential achievement from this is to increase search-engine rankings, and perhaps hope to pick up a lazy journalist (of which there are many) who will reproduce stories and press releases. Here at Yours for Good Fermentables.com, I attempt to be more than merely a flack for my employer Clipper City Brewing Company. But when I do write specifically about the brewery, I add a 'caveat emptor' to the post. My affiliation is always indicated along the right hand panel, and there is a disclaimer along the bottom of the blog. 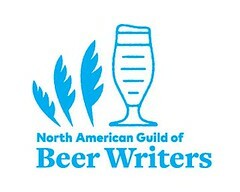 Here's a link to an earlier post on ethics in beer journalism. As an example of a brewery blog (of which there are many), Hugh Sisson, the owner of Clipper City, has a blog to which he posts infrequently, but when he does, it's to (caveat emptor) thoughtful effect. His most recent essay was a defense of the US three-tiers of alcohol distribution. A barrel of crude oil topped $135 today for the first time ever; regular octane gas has reached $4 per gallon at the pump in the DC area. I drive thirty-five thousand miles per year promoting the beers of Clipper City along the US southeast. Blogging the praises of Clipper City beers is certainly cheaper. I think Bailey tried to leave a comment here but it hasn't come up yet. To whatever he said I would add that it hadn't occured to me that this blog was corporate in any way. It's very personal and covers loads of different topics - perhaps Becks should look at it and learn!